In an era where Blue Apron and countless competitors offer perfectly portioned, chef-curated meal ingredients and recipes, you might not expect a startup to win Shark Tank by selling boxes of ugly produce. But that’s exactly what Hungry Harvest did, receiving a $100,000 offer from celebrity investor Robert Herjavec after its appearance on the show back in January. Based in Maryland and currently available in the surrounding Baltimore, D.C. and Philadelphia regions, Hungry Harvest builds its business on sending surplus produce (that would otherwise become food waste) to subscribers for a weekly fee of $15 (mini recovered harvest), $25 (full recovered harvest) or $35 (super recovered harvest). Buying one of these plans means getting a weekly spread of fresh fruits and veggies delivered to your door. And they’re still delicious, even if they don’t always meet grocery stores’ strict aesthetic standards. Eight months after its initial reality show popularity, Hungry Harvest has grown a sizeable fan base that includes over 13,000 followers on Facebook, even though it’s currently only available in D.C., Maryland and Philadelphia. 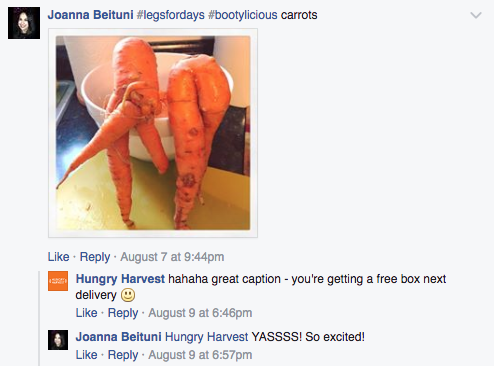 One secret to Hungry Harvest’s sustained success is its social content strategy. The brand posts funny, honest content on its blog and Facebook page that engages with its audience’s needs, answers its questions and offers fun incentives for follower participation. And as a result, it gets people laughing, interacting and becoming fans — and eventual subscribers. 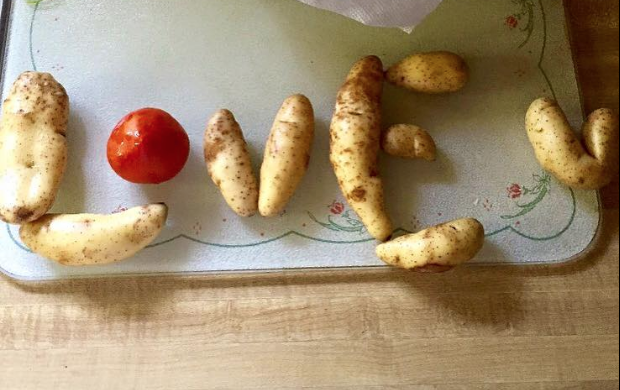 We love your style, Hungry Harvest! 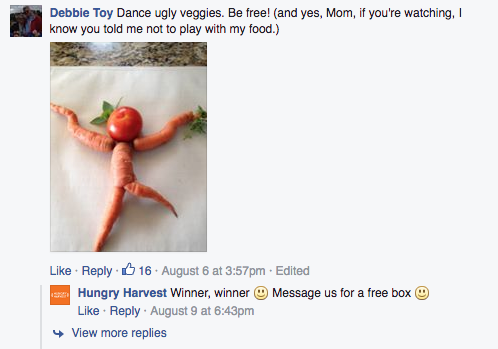 Kudos on this clever campaign that rewards hilarious user-generated content. 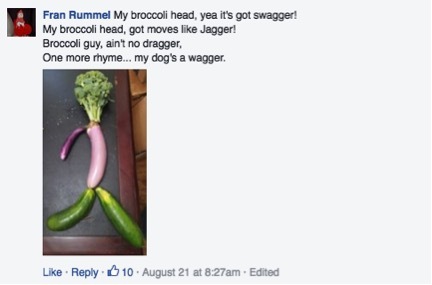 We’re suddenly feeling very inspired to eat more veggies.